This white paper describes CentreStack with Active Directory Home Directory integration. The solution can be used by businesses to privately deploy and host a file sync and share solution, providing an access layer (browser, mobile, desktop and file server access) around private cloud storage service and local file server storage, and retaining full control of data and the related access infrastructure. The Remote Site Headache - You have multiple sites and remote offices. For users from the remote sites, they are so used to save documents to the local My Documents folder. Even though there is a file server local to the remote site, users are still save documents to My Documents folder on their desktop. However, in the past weeks, there were already several cases that the user’s PC broke down and all the user's documents saved on the local PC were all lost. The Dropbox Problem - Some users from the remote sites are using Dropbox on their own to solve the data backup problem. However, for your company, Dropbox is both a solution and a problem. 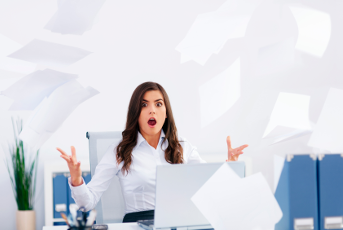 The company simply can’t allow users to sync files anywhere because it needs to meet certain data compliance criteria. You have to find a solution that is similar to Dropbox but allowing you to have full control of the data. The company already standardized on Microsoft technologies such as Active Directory and File Server, with each user assigned a home directory from the file server. 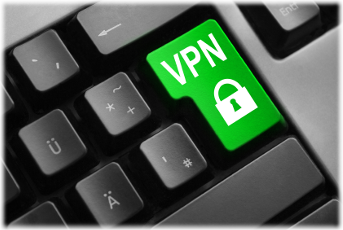 There may be VPNs in between the main office and the remote office. But again, if users are used to save documents to My Documents folder, not even bother to save to the remote office’s local file server, How easy will it be asking the users to connect the VPN, map a drive to active directory home directory and save documents there? The usability barrier is just too high. Ideally, you want to find a solution, that can turn the remote user’s My Documents folder into an enterprise drop box, synchronize the local documents directly into the company’s file server, inside each user’s Active Directory home directory. CentreStack provides a solution for the problem above by natively integrated with Active Directory and the home directory settings in the Active Directory. As an end result, User can easily access their home directory from web browser, mobile devices, desktop and file servers, without using VPN. There are many hurdles CentreStack overcome to make this happen. First, how to connect the remote offices to the company’s file server without setting up VPN? How to get it done when the only communication channel is HTTPS? Second, how to monitor the My Documents folder and send the documents to user’s home directory? Third, how to maintain security and single sign-on so only authorized users can use the solution? Forth, how to link the user’s storage with user’s Active Directory home directory? The ability to connect to enterprise file server as backend cloud storage. It is recommended that CentreStack be installed on Windows 2008 w/ Service Pack 2 servers, or Windows 2012/R2 servers. You can connect the Active Directory to the CentreStack instance as the user manager. You can also connect your local file server to the CentreStack Server. At the end, the remote users can go to the enterprise web portal, download the access client and turn their local folders into enterprise drop box folders. Files saved to their local folder will be migrated to their user’s home directory folder automatically.